In this edition of the SA parkrun newsletter, we find out which parkruns will have special extra events for Christmas and New Year and welcome Three Silos parkrun. We have exciting news for regular volunteers and new summer start times for several parkruns. We also celebrate our parkrunner of the week, Brynn Janeke. As is customary at this time of the year, some of our venues will be staging extra parkruns at Christmas and New Year. These are fully-fledged, proper parkruns and not just freedom runs. Therefore, they count towards run totals and PBs. As always, it wouldn’t be possible without our parkrun volunteers, who have agreed to stagger their start times. This means it will be possible to run two parkruns in some areas on New Year’s Day. These runs are organised completely at the discretion of each parkrun volunteer team. In keeping with the spirit of the festive season, please dress in party clothing and prepare to have fun. To see a list of parkruns staging extra events, visit the Christmas Compendium page. 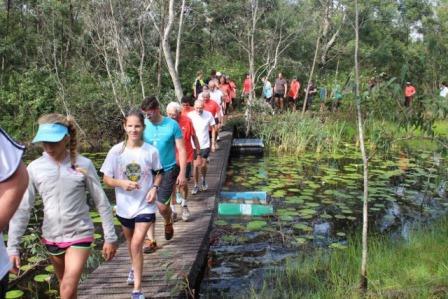 As you are all probably aware, we have had a couple of problems with the staging of Nahoon Point parkrun in East London, and it has been put on hold for a few weeks. It is not permanently cancelled - Bob Norris and his team are busy looking at an exciting new route at Nahoon Point. Expect a relaunch in the New Year. In the meantime, however, Annemarie Acton and her team started a new parkrun about 8 kilometres outside East, at the 3 Silos Farm. Owner Mark Oberem generously both donated the use of his land for the parkrun, and mowed and cut a 5km path along the entire route. Close to 400 runners and walkers arrived for the inaugural run last Saturday. Since many of these were experienced Nahoon Point parkrunners and visiting tourists, the start was a sea of red and black club shirts. 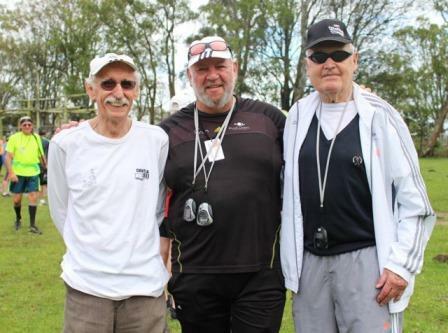 I don’t think a South African parkrun has seen such a gathering of experienced parkrunners. The run itself was lots of fun, and the route skirts beautiful ponds, winds through trees and crosses meadows. It will be extremely popular with local parkrunners and visitors alike. Last Saturday was International volunteer day. Volunteers are the lifeblood of parkrun and, without them, no parkrun would function properly. Thank you to everyone who has so generously given their time to parkrun this year. Without your dedication our parkruns would not be nearly as wonderful. In recognition of this we’ll be rolling out the new purple volunteer tee shirt for those who’ve supported our parkruns 25 times. If you’ve only ever run or walked, we encourage you to volunteer from time to time. It’ll give you a whole new appreciation of this fun event. To join your parkrun’s volunteer email list, click on the link in your results email. IMPORTANT: The above parkruns’ new start time of 7am will commence on this Saturday 14 December, lasting until the end of March. From the beginning of April, the start time will change to 8am, staying that way until the end of September. Please check the website of your parkrun for details of the start time. The temperature variation at parkruns around the world last week was over 60°C. From -27°C at Chelyabinsk parkrun, Russia and +35°C at Prince Albert parkrun, South Africa. Happy Holidays to all, thank you for your support in 2015 and we look forward to even greater things in 2016! Discovery Vitality members – don’t miss out on being rewarded for your effort. 1. Click on “Manage my Profile” in the top right corner of this email to open up your unique profile page. 2. Click on “Discovery” on your parkrun profile. 3. Enter your passport or SA ID number in the space provided and press “Update”. Note: from 1 January 2016, in order to encourage ongoing physical activity, we have increased the maximum amount of points you can earn for fitness to 30 000 Vitality points. Vitality members will now be awarded 300points for each parkrun event they complete. This means that you can actually earn more points next year for ongoing participation in parkrun events. The increased limit also means that you have a better chance of reaching Gold Vitality status in 2016. Springboks in the making are using parkrun to gain fitness. Clarendon Park Primary school are enjoying their young eight years of rugby. 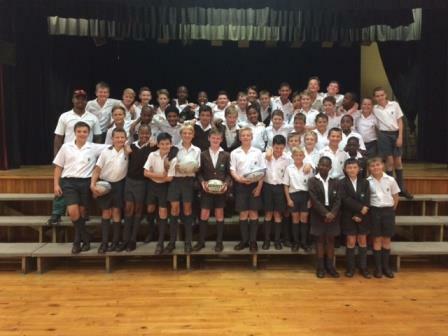 Playing most traditional rugby schools in Port Elizabeth and have so far been enjoying some fair results. With the 2016 season fast approaching, their coach, Anda Sakube, sees parkrun as a key way to help the squad gain fitness and plans to take the whole team to PE Hobie Beach parkrun on Saturday mornings as part of their training, for team building and fitness. 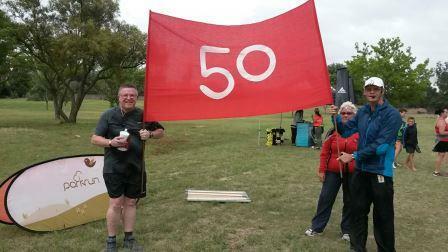 I completed my 50th parkrun on 5th December. The amazing thing is that 4 years ago, I had 3 strokes, which left me paralysed in my right arm. I lost my speech and lost all sense of balance. I was immediately forced to stop working. Fortunately I regained my speech and started walking with a stick in order to regain my sense of balance. 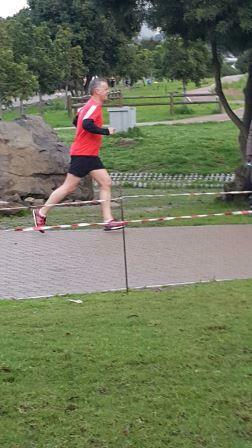 Then I joined my son, Brandon, on my first parkrun with a 5 km walk. It took me about 1 hour 5 mins. After 16 attempts, I was able to run the 5 kms for the first time. Now my PB at Bryanston is 26:07! Over the past year I've lost 16.5kg and try to exercise regularly to stay in shape. I thank God for my miraculous recovery and the valued support of the parkrun team. Thanks for all the excellent efforts put in to make the parkruns such special events. These are greatly appreciated. I am now 100% fit & healthy and try not to miss my regular Saturday parkrun. In mid-June last year, my ENT Specialist advised me to “lose a bit of weight and get a bit fitter”. This was easier said than done – years of yo-yo dieting and periods of relative fitness were recalled immediately! So, I stopped drinking, cut out the snacking and started looking for an alternative to the obvious gym route. I wanted something that my wife Irene and I could enjoy together. I can’t recall how we came upon parkrun, but after a false start in July (there was unseasonal rain, so we didn’t even get out of the car) we did our first at Ebotse. Even at school, I was not much of a runner. I played rugby and squash, but couldn’t run any significant distance. In 1978 a serious motorcycle accident left me with paralysed vocal cords and a severely compromised airway. Cardio based exercise became very difficult as I just couldn’t get enough oxygen down my throat. Cycling seemed to be doable, as there is the freewheel / recovery mode built in. There’s no freewheelin’ when it comes to running or walking. Just stop and go! On Saturday 28th November, I achieved my 50th parkrun – Irene did hers the previous Saturday – and I feel rightfully proud. Fellow participants will testify to hearing me puffing and wheezing – each Saturday I have to assure someone’s concerns that although totally out of breath, I’m actually OK.
We have visited a few other parkruns, but Ebotse remains our favourite, even if the recently amended route appears a bit tougher. Now we look forward to hitting the 100th sometime in 2016. I would personally like to thank all the organisers, volunteers and sponsors – parkrun, or parkwalk in my case, has definitely become a firm favourite in our lives. Say ‘Hi’ to the old guy wheezing and blowing – even on the downhill! How has parkrun changed your running: parkrun has made a tremendous difference to my fitness and general feeling of wellbeing. Wanting to feel good at each parkrun on a Saturday and set the odd PB motivates me to be more physically active throughout the week as well. Most memorable or funniest parkrun moment: My most memorable was running my 50th with my wife, Janine and my teenage children, Michelle and Grant. The funniest was when one of our most exuberant volunteers, Hendrik, dressed in drag as part of a dare. He claims he was so ‘hot’ that many many men asked for his phone number, but I am not so sure – parkrunners have more taste than that! Favourite volunteer role:: I like all of them, but helping to set up the course early on a cold winter’s morning feels especially satisfying. Why should others volunteer at parkrun? : It is fun and easy. I have been able to run quite a few parkruns all over SA and I am confident you will be welcomed with open arms wherever you go by a likeminded and community spirited group of fellow volunteers. 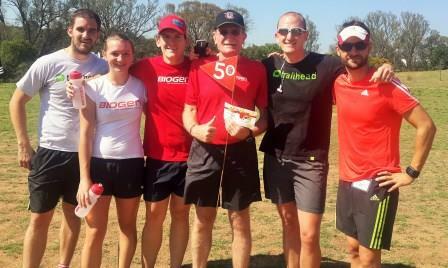 What fellow volunteers say about them:: Brynn is a hardworking, loyal, committed, level-headed, fun, friendly, competitive about his PB’S and community driven parkrunner and is a key team player of the Lonehill core volunteer group.